Whether you in your back yard, at the park, or at the beach, the Four Paws Rake Pooper Scooper makes it easy to clean up after your beloved pooch. It's designed for quick pet clean-ups in grassy or sandy areas. 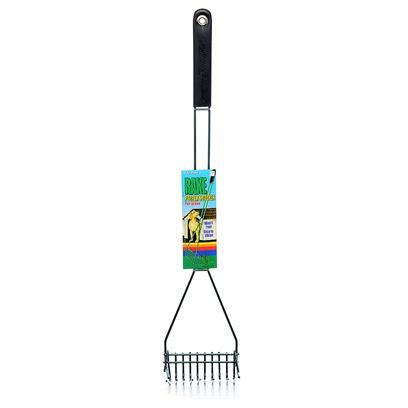 The perfectly spaced metal prongs move through grass and sand to thoroughly clean the area, and the scooper features a rubber handle to facilitate ease of use and comfort.